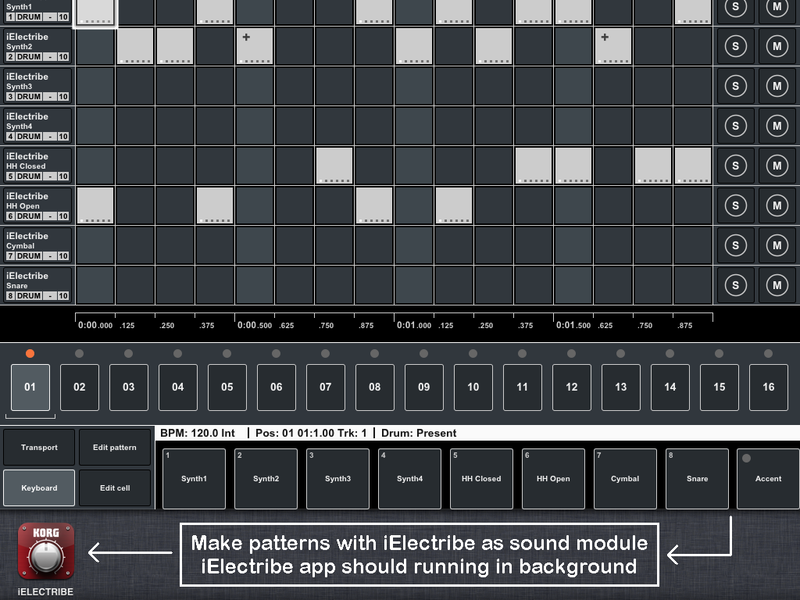 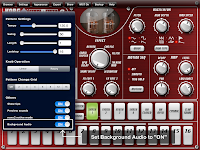 This simple example provides some tips on how to configure MIDI Pattern Sequencer for working with other sound creation applications on iPad (like Korg iElectribe). 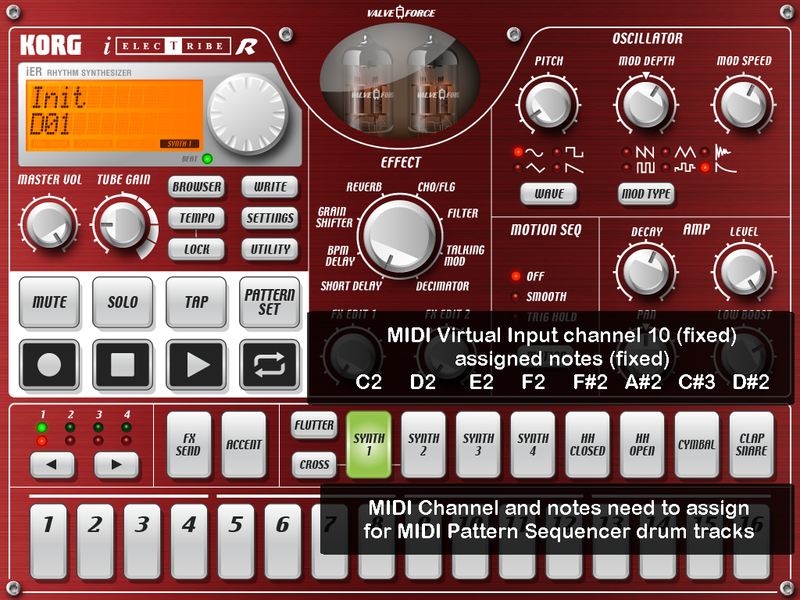 Sound application should support Virtual MIDI device or connecting to external MIDI devices. 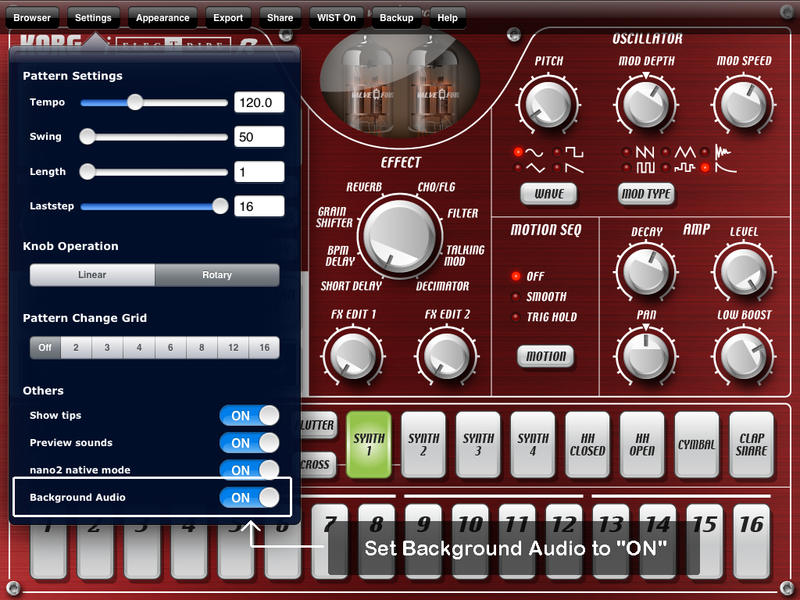 Check that sound creation application will be working in background (usually, application has a special option for it). 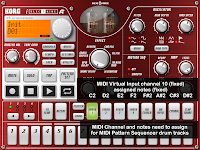 Check MIDI channel assigned in application (it can be a fixed channel or assigned in settings). 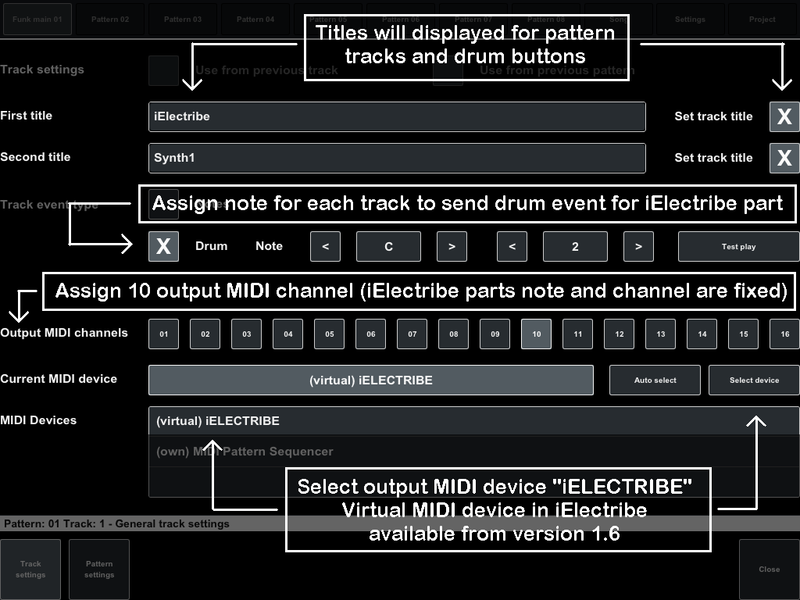 Sequencer (pattern or song tracks) should be configured to send MIDI messages to this channel. 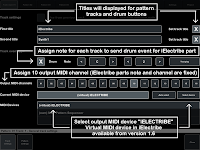 For drum parts find (in description or help) notes which assigned for each of it. 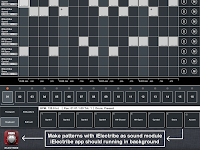 Click an image to enlarge description.